Summer! Isn’t it everyone’s favorite time of year? No rushed mornings, no homework deadlines, no schedule, no nothing! Cool mornings give way to long afternoons that fade into warm evenings. The slow pace of summer delivers the much needed break from routine. It is a time to recharge and refresh. It is also a fantastic time to dive into an interesting book and escape on an incredible journey, a luxury many middle school students are unable to indulge in during the activities-packed school year. Reading helps young adults enhance their vocabulary, develop analytical skills, improve communications skills and build memory. Literature can also give one a glimpse inside other cultures and eras, increasing an understanding of the world in which they currently live. Summer reading lists for 6-8 graders often include the books that make up the Chronicles of Narnia, C.S. Lewis, the ever popular Harry Potter series, J. K. Rowling, or the Hunger Games books, Suzanne Collins. All promise to deliver plenty of adventure and suspense and are challenging middle school reads. Based on my own quest for good literature, I have compiled a reading list for young adults. Whether the book is considered a classic piece of literature or a relative newcomer, the reader will find these stories exciting, intriguing and engaging. 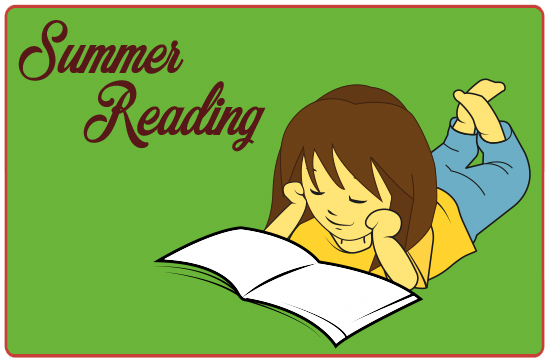 The books on this list vary in reading level as well as subject matter, fiction and nonfiction, and will help students practice their reading skills over the long weeks of summer. My personal favorites are Beyond Survival by Lt. Gerald Coffee, Education of Little Tree by Forrest Carter and of course, To Kill A Mockingbird by Harper Lee. Let me know your middle school reading favorites so we can add to the list! Teachers & Administrators: Upload your summer reading lists to your school’s FastDirect Communications site to share with your parents & students on your Bulletin Board & in Links! Parents: Add your school’s FastDirect Communications site to your mobile phone’s home screen for quick viewing of messages, Bulletin Boards, Calendars & Links!